Are Parabens Bad in Cosmetics? When it comes to cosmetics are parabens bad? Widely used as preservatives since the 1950s, parabens are available in a range of forms including butylparaben, ethylparaben, isobutylparaben, methylparaben, or propylparaben. They are added to health, beauty and personal care products to keep them free from fungus, mold, bacteria and other dangerous microbes. They are also used in baked and processed foods. While the use of preservatives in skin care is non-negotiable when it comes to maintaining the safety and integrity of your cosmetics, there are many choose from. In this article, let’s look at parabens in a bit more detail. In a 2004 study, trace amounts of parabens were found in breast cancer samples. While the study didn’t prove that parabens can cause breast cancer, it did confirm that parabens were able to enter the skin and remain within tissue. A more recent study found higher levels of one paraben, n-propylparaben, in an area of the breast where the highest proportion of breast tumors is found. Because parabens are known to have weak estrogen-like properties, there is concern for their potential as endocrine disruptors, which means that they are capable of disturbing the normal function of the hormone system. Since our hormones control many of functions of our body, a disruption to this can impact several things including growth, development, reproduction and brain function. Parabens are known to mimic the growth effects of estrogens on breast cancer cells, yet some consider their effect too weak to cause harm. However, a 2015 study looked deeper by examining breast cancer cells and exposing some to parabens. Researchers found that the parabens not only triggered the estrogen receptors by turning on genes that caused the cells to grow, but did it in quite a significant manner and at very small concentrations. The study demonstrated that parabens may be more potent at lower doses than previous studies have suggested, which may spur scientists and regulators to rethink the potential impacts of them on the development of breast cancer. The concentration of parabens used in personal care products tends be less than 1% and both the Food and Drug Adminstration (FDA) and the American Cancer Society maintain that studies haven’t shown any direct link between parabens and health problems — including breast cancer. There are also no concerns or restrictions regarding their use in Canada or Australia. In the EU, regulators have signed off on the safety of some parabens, but increased restrictions on their use and completely banned them in some instances. They have also reduced the maximum concentrations allowed for propyl- and butylparaben. Contrary to many rumours, the use of parabens has not been banned in the EU. So, are parabens bad? Maybe, maybe not. What is clear is that more research is necessary. If you wish to avoid them, it’s important that you get used to reading product labels. Avoid those listing anything ending in -paraben – ethylparaben, butylparaben, methylparaben, propylparaben, etc. Also keep in mind that just because a company says that their products are ‘paraben free’, it doesn’t mean it’s safer as it could be hiding a host of other potentially bad-for-you ingredients, including not having an adequate preservation system. Products that are anhydrous can be safely formulated without preservatives but anything containing water must contain one. 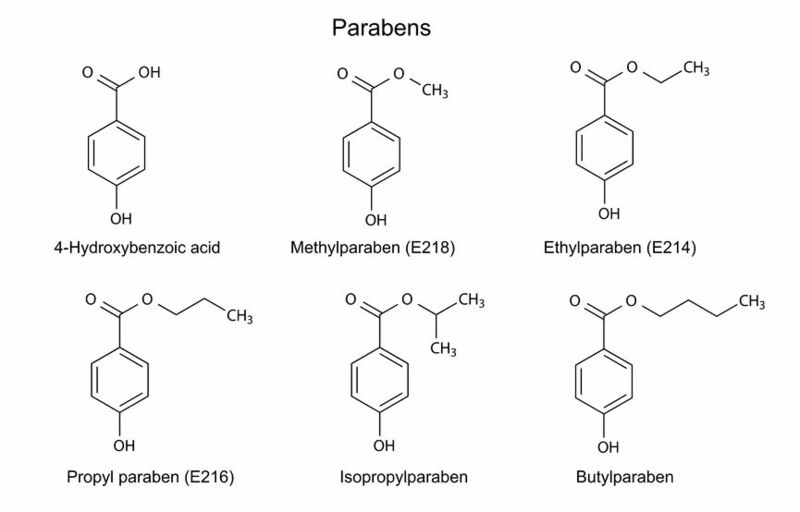 For those of you who ask the question, “are parabens bad?”, the answer isn’t clear. However, at Apothekari we have taken the precaution of formulating without them because why risk it when safer options are available.